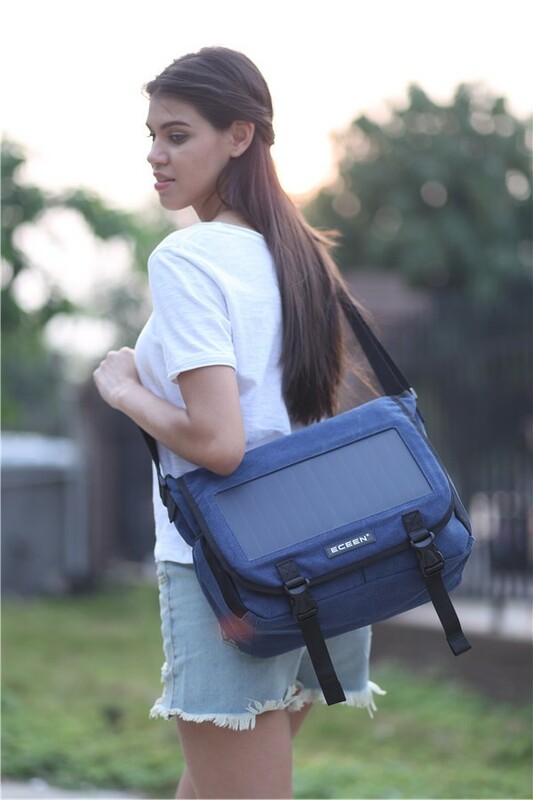 This ECEEN solar leisure bag is stylishbackpacksperfect for the day of school. 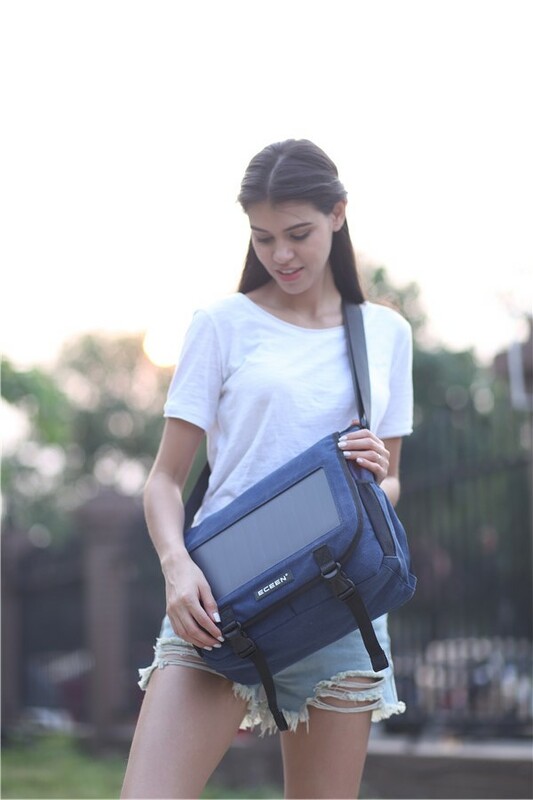 It’s a fully lined main compartment, two open side pockets, and the cool solar panel capture the sunshine to charge your cell phone and other’s 5 V device. 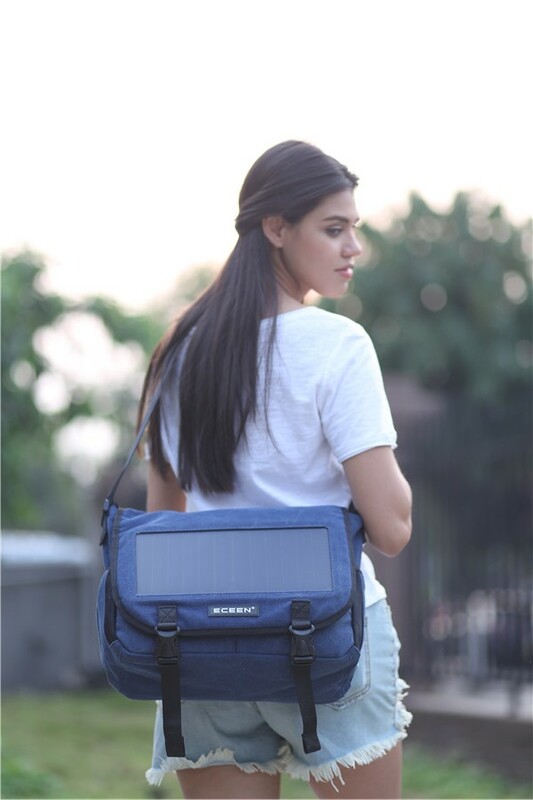 Shop forcute packs& coolshoulder bags! With so many options, you'll find thecute bagthat's right for you. From the best brands and latest trends, shop now! TAKE IT EVERYWHERE ON THE GO - Whether you're hiking, camping, trekking, or biking / cycling, these backpacks are the perfect size to carry all your belongings without weighing you down. Even fits up to a 14" laptop. 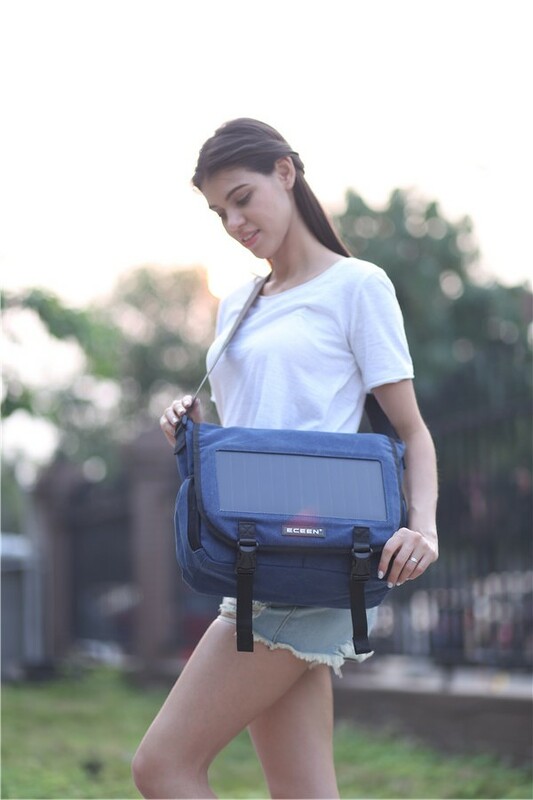 NEVER RUN OUT OF JUICE - ECEEN's solar bag comes with a 7W waterproof solar powered panel. It's strong enough to power your electronics on the go. Give your smartphone a full charge in only 3 - 4 hours. Never leave the city without it! LIGHTWEIGHT - Perfect as a daypacks during the day, weekend trips. The external frame, ultralight weight design, and adjustable straps make them comfortable to wear for long periods of time. PROTECT YOUR GEAR - Although they are lightweight, they are built to last. The bag made of high quality canvas, and carefully designed to withstand most conditions you will encounter outdoors. Are you looking for the perfect backpack to take with you on your next adventure? How about a bag that isn’t clunky to lug around and will keep your belongings protected at the same time? 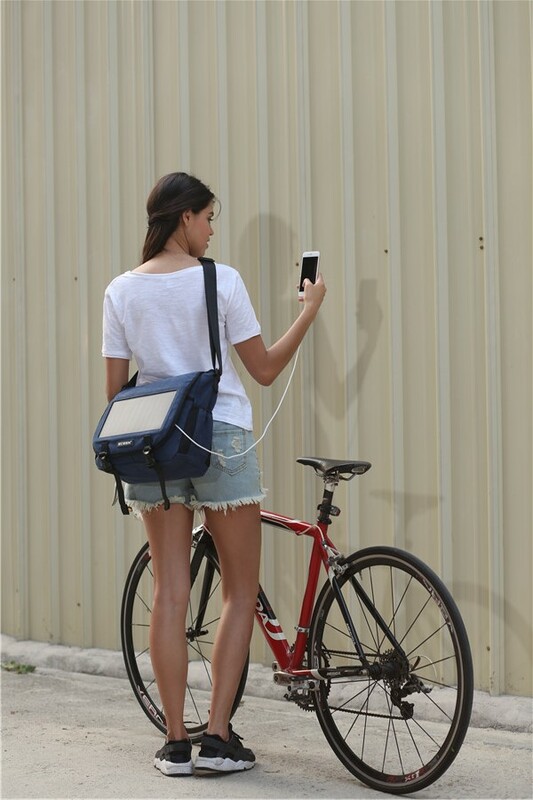 ECEEN’s solar powered Messenger Bag are just what you need. 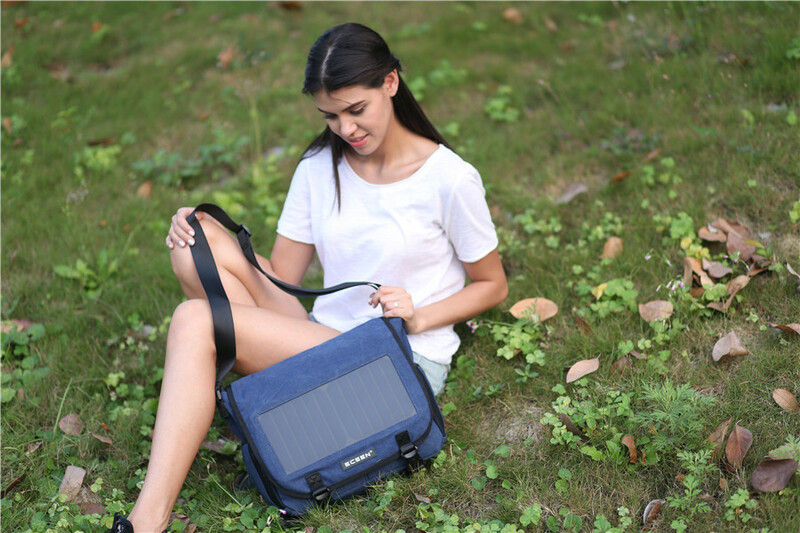 This backpack is enough to carry your necessary belongings, lightweight and adjustable enough to keep you comfortable and focused on enjoying the outdoors. All with the ability to keep your 5V electronics charged. Previous news:Happy Easter Day!Enjoy your holiday with sunshine in this Spring.